Present days, the trend of online shopping is popular over the traditional shopping trends. Most people wouldn’t take the hassle of traffic jams and weather and costing time if there’s an available online shopping option – that’s what few very latest research statistics say. Online shopping is cheaper, saves time, convenient and more importantly it’s just as better as actually going to the malls. Why would someone actually go to some shopping mall if the same quality is experience through a better time saving option? Markets are often not comfortable; people go there because there’s no other option. If someone could come up with better options which allows to shop from any place preferred by the customers, then it would be given a warm welcome for sure and that’s the case with the online shopping trend. Everyone could go through a wide range of options from the comfort of their comfy couches or office desk, even from the bed at midnight. All necessary goods are found in one platform. Starting from gadgets, dresses to healthcare products, stationary goods, herbal products, car accessories etc. everything are found in single platforms. 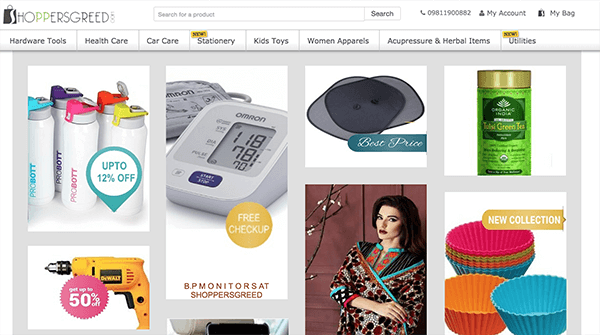 All large online shopping platforms like Amazon, eBay, Flipkart, ShoppersGreed, Kaymu etc. offer a wider range of products and they ensure equal superior quality for everything they sell. Customers don’t need to beat the traffic and waste time in jams to buy the products they need. Whenever you need something, head over to an online shopping site and grab the product you need. This might take few hours or even days for the product to reach you, but at least the product is in your possession and no one else is taking it away from you. This is very helpful especially for some rare stuff that’s not available in the typical shopping malls. If you want to send someone a gift, that could also be done accompanied by gift wrap service as well. Ask your vendor if they provide such service. All shopping mall like offers are available online as well. The online stores offer all year round discounts and special offers. If you are fond of sales, then some online store is where you head to. The best part about online stores is they usually declare if any product on sale happens to have any defect or issues. So you can decide whether you want that defect for a lower price or pay much higher for a better deal. Online stores are definitely more convenient over the shopping malls. We have said the reasons we believe online stores are better for, what do you think?